Bet on consenting NFL athletes; abuse decidedly inanimate cards and wheels. Leave the dogs and horses out of it. Under current Florida law, in order to get licenses for increasingly popular VLTs (slots) and table games, dog-track owners are required to offer a set amount of live racing, even if said racing is a losing proposition. Basically, people come for the poker but the dog racers continue to benefit. Senate president Don Gaetz (Tampa Bay Times): “The taxpayers of Florida are functionally subsidizing races that almost nobody is watching.” (According to GREY2K USA, dogracing handle has declined for twenty consecutive years.) But now, momentum is gaining in the Legislature (and beyond) to allow the market to be what it will be, to force the racers to sink or swim on their product alone. And the smart money is at the bottom of the pool. 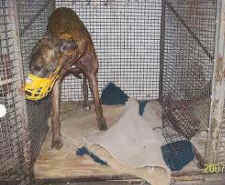 To date, 39 states have outlawed dogracing; of the 21 tracks still operational, 12 are in Florida. So, if this movement to “decouple” racing from other gaming – no more mandated number of races – succeeds, dogracing in America will enter the hospice stage. That dogracing is cruel is beyond reasonable discussion. 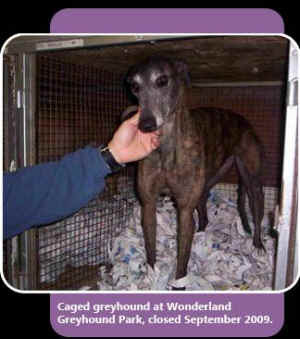 But for those who remain unaware of the facts, please see this site from GREY2K USA. With myriad gambling options available, excuses for exploiting the racing-animal have run dry. Bet on consenting NFL athletes; abuse decidedly inanimate cards and wheels. Leave the dogs and horses out of it.